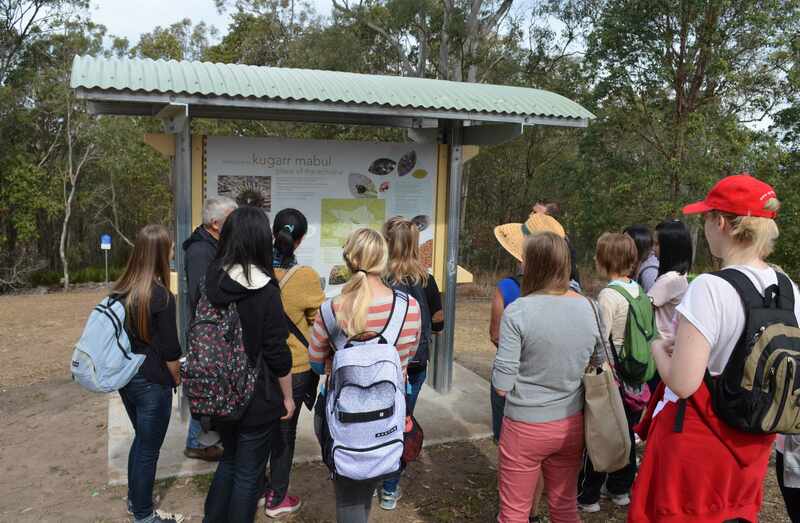 As part of National Tree Day celebrations, Laurie Deacon and I were privileged to lead a guided walk in Mt Gravatt Conservation Reserve for twenty-one Griffith University students and friends. 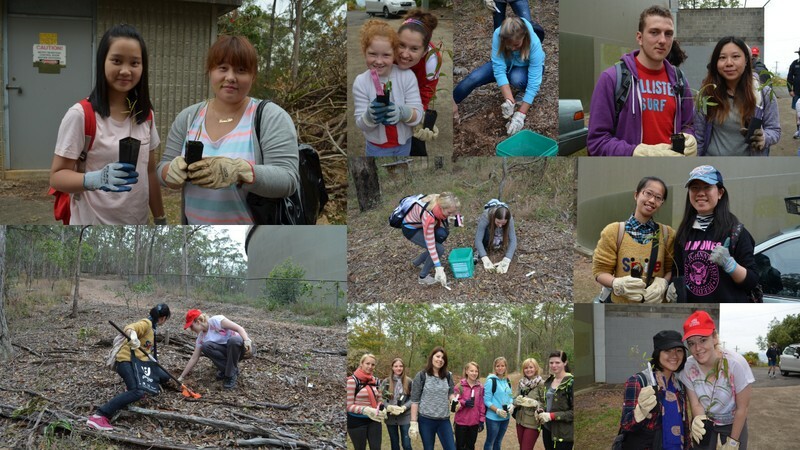 We have partnered with Griffith Mates since 2012 to offer students the opportunity to give back to the tranquil bushland surrounding Griffith University. Rain falling on Mt Gravatt flows into two different river catchments: Norman Creek catchment via Ekibin Creek and Bulimba Creek catchment via Mimosa Creek. 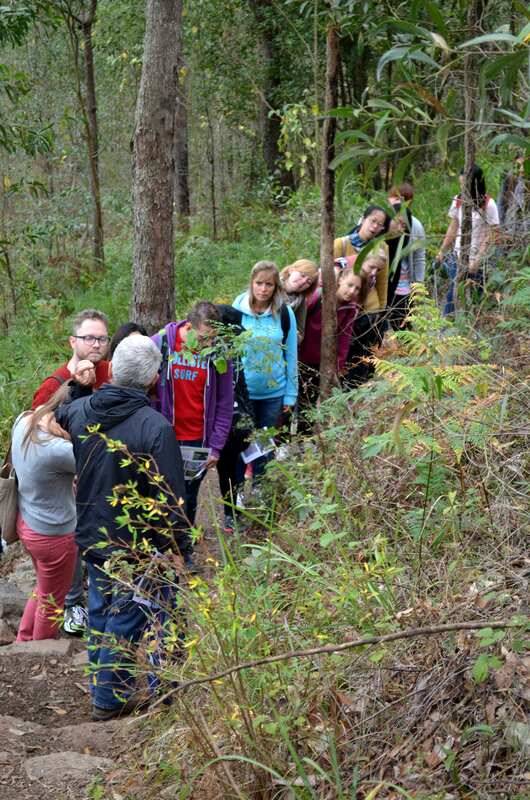 Acacia Way follows the ridge line forming the watershed between the catchments. Winter is flowering time for many of our wattles, like this beautiful fragment delicate Brisbane Fringed Wattle. 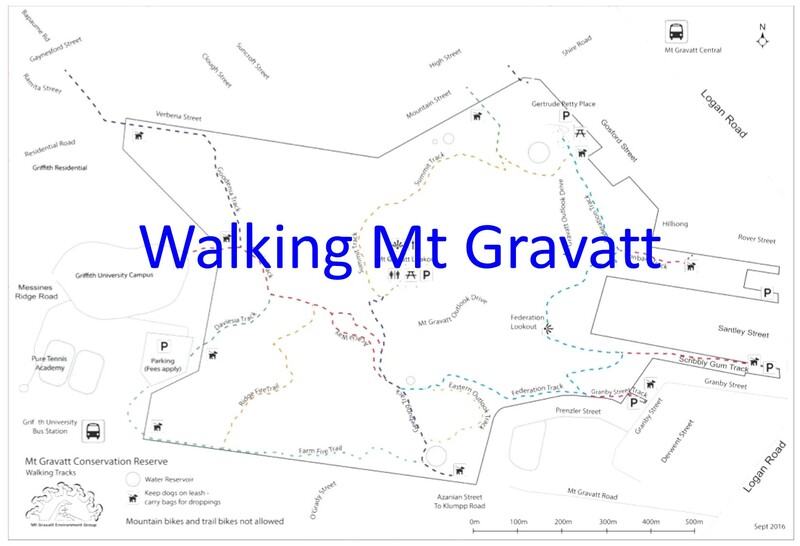 Mt Gravatt Conservation Reserve has an amazing species diversity with two hundred and seventy-one native plant species identified, including Settlers Flax Gymnostachys anceps which was used by indigenous people to make fishing lines, and bush food Molucca Raspberry Rubus moluccanus. Arriving at Fox Gully Bushcare the team prepare to plant twenty Koala food trees including Small-fruited Grey Gum Eucalyptus propinqua, Scribbly Gum Eucalyptus racemosa and Qld Blue Gum Eucalyptus tereticornis. 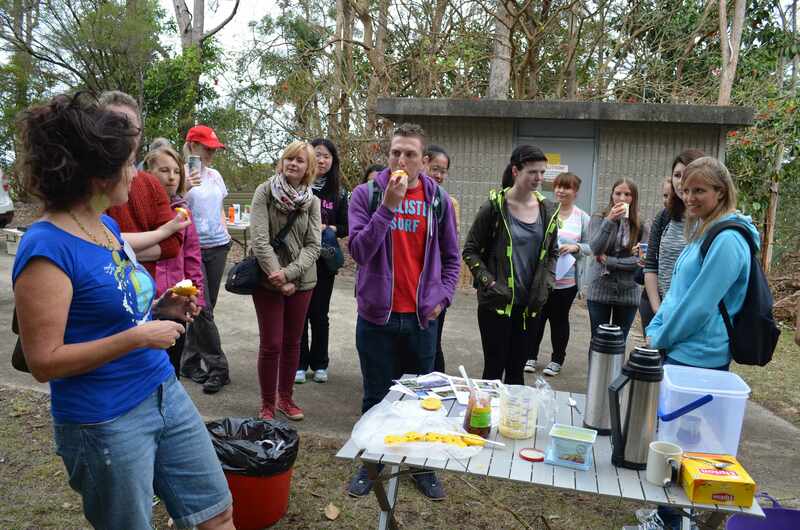 Len Kann introduced the team to our Australian native bees. Len keeps hives with the small black Stingless Native Bees Trigona carbonaria. He has also developed a deep knowledge of native solitary bees like our local Blue Banded Bees Amegilla cingulata and Teddy Bear Bees Amegilla bombiformis. With the work done time for the reward. Thanks to Margaret Medland for the delicious home made punkin scones, jam and cream! 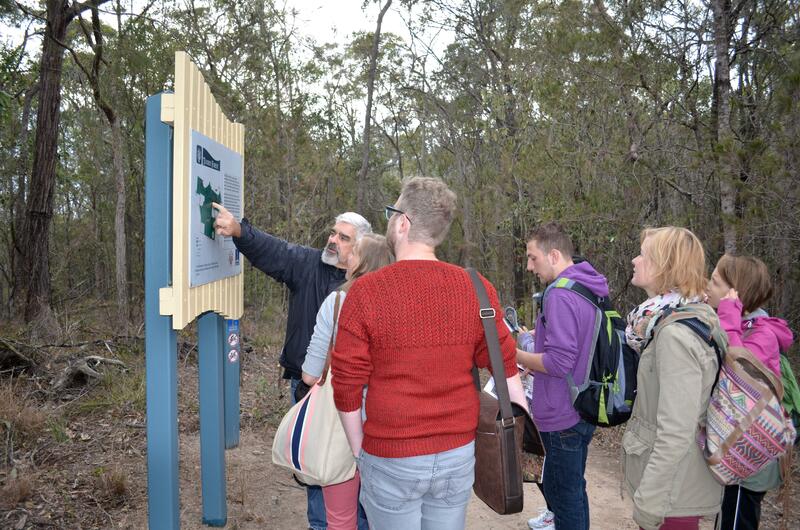 The walk back included a detour to the Summit where we inspected the new interpretative signs installed by BCC Habitat Brisbane team. 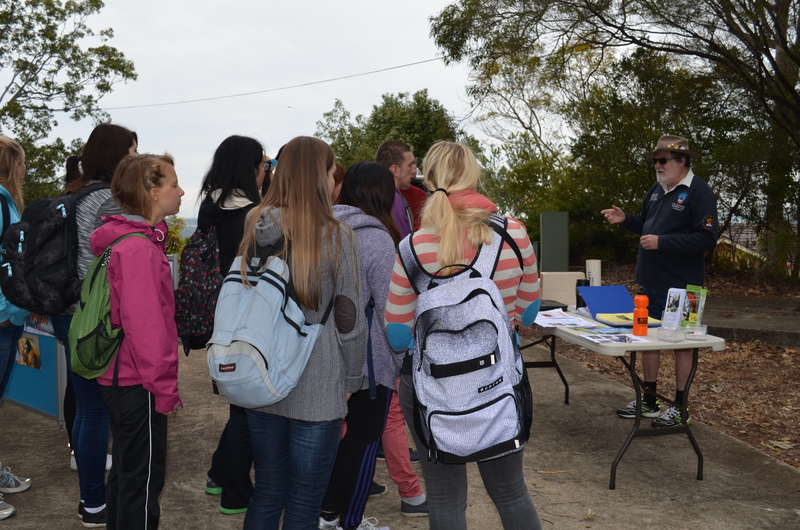 Thank you to our Griffith Mates visitors. 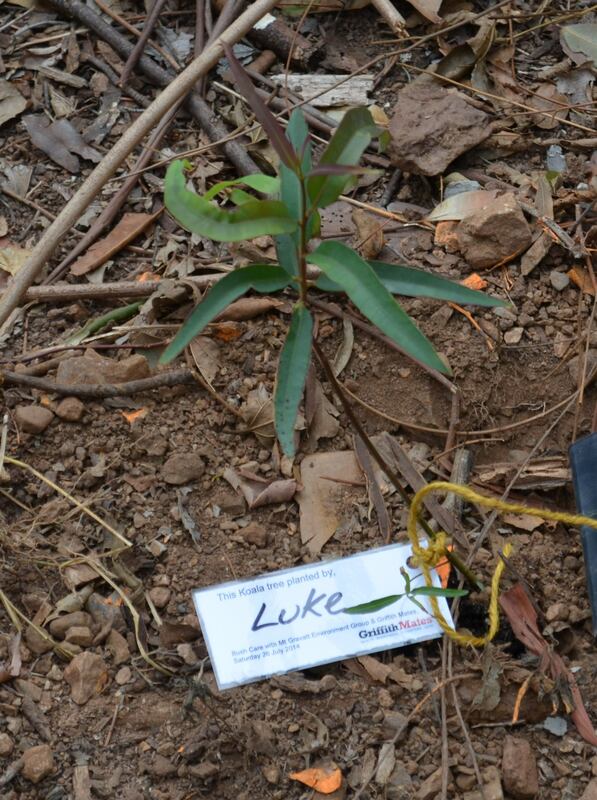 We look forward to meeting again at a bushcare.